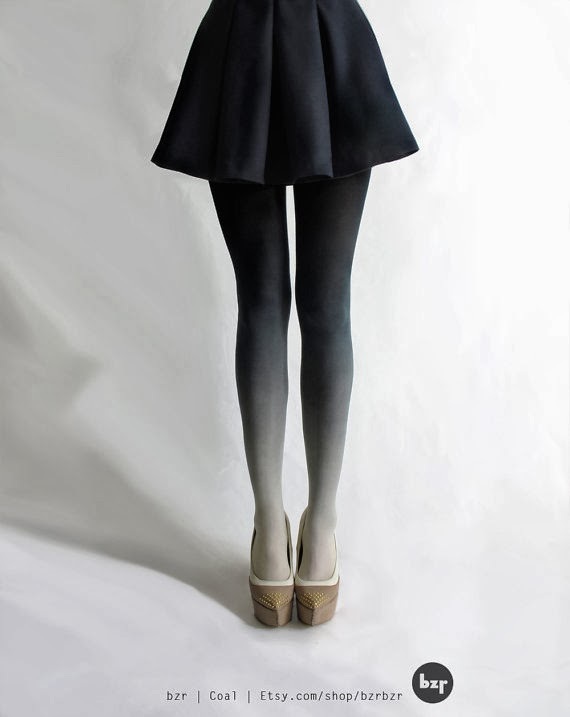 These tights from BZR on etsy are amazing! They're hand-dyed in a variety of beautiful colors (all of which I would love to own!). The black and white are my favorite, but the fushia are just such a fun pop of color. It's too bad I can't afford to spend $40 on tights, since I get a rip in every pair after 1 or 2 wears.